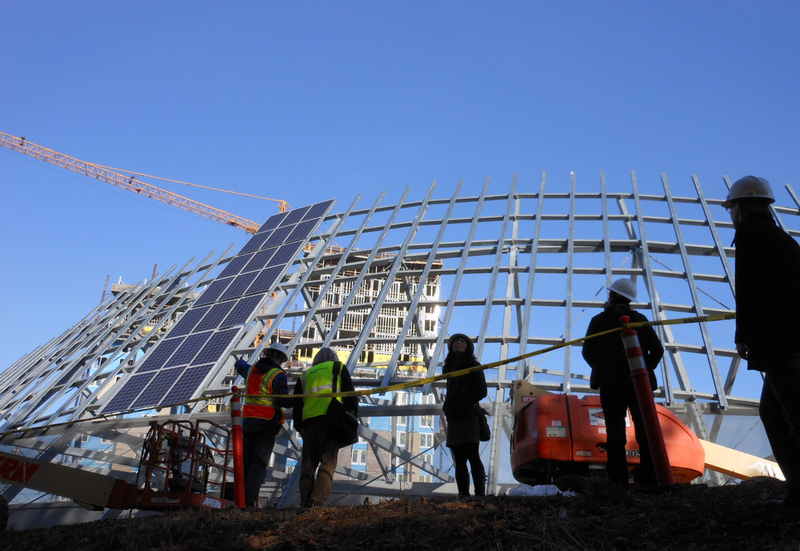 transit Archives | Hennebery Eddy Architects, Inc.
Part of #pdxnext, construction workers placed the last piece of structural steel on PDX’s Concourse E Extension. Photo courtesy of Jerry McCarthy, Port of Portland. 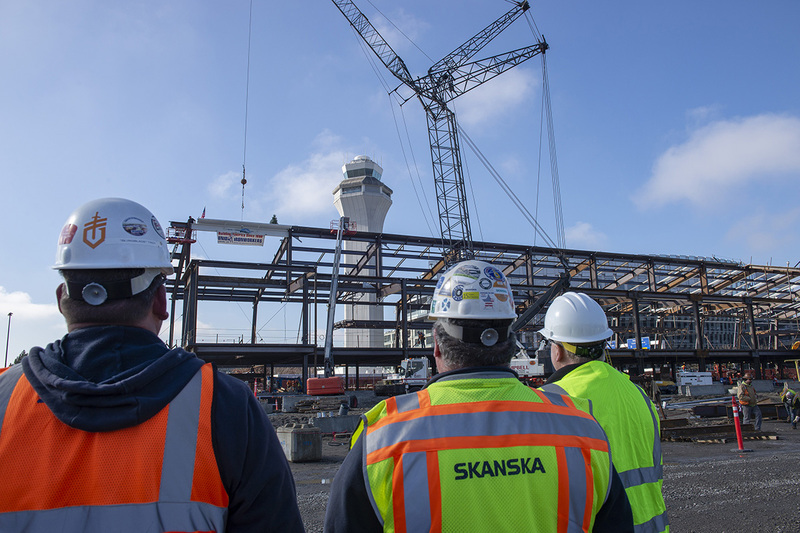 Construction workers placed the last piece of structural steel for the 148,000-square-foot expansion of Concourse E at Portland International Airport Thursday, Feb. 21. Part of the Port of Portland’s PDXNext program, a series of updates and upgrades to deliver a convenient, comfortable, uniquely PDX experience for travelers and employees now and into the future, the Concourse E expansion extends 830 feet east along the airport’s entry drive, adding six passenger gates and balancing the number of passengers using the north and south sides of the airport. The $215 million project began construction in 2017 and is on schedule to open mid-2020. Poised as an impactful gateway to the airport, the Concourse E extension will create a memorable entry to PDX, named Best Domestic Airport by Travel + Leisure for the sixth consecutive year in 2018. The project also includes additional concessions, restrooms, support spaces, and amenities. Representatives from Portland International Airport, Skanska, Hennebery Eddy Architects, and Fentress Architects attended a topping-out ceremony, placing a signed beam to mark the occasion. Hennebery Eddy is working with CH2M providing transportation architecture services as part of the upgrades to facilities along the TriMet MAX Blue Line, Portland’s light rail line system that has been in operation for more than 30 years. 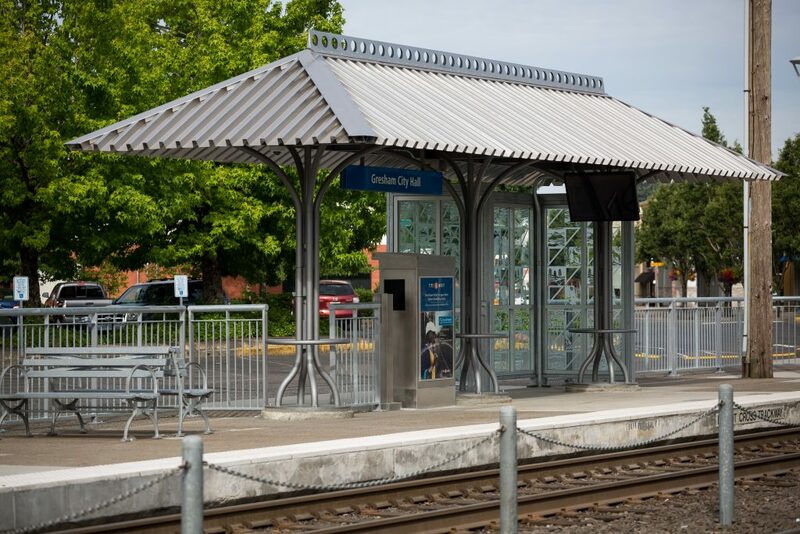 Along with conducting studies to incorporate a new faregate system, we also developed a “menu” of improvement options for the platform components, including shelter roofs, platform buildings, art glass wind screens, stairways, railings, paving, signage, and lighting. The Gresham City Hall station was the first on the Blue Line to be completed and opened this summer. It includes a clear fare zone, improves safety and visibility, and reflects standardization in components, signs, amenities, and finishes that are also low-maintenance and durable. For a closer look at the new station, hop over to the TriMet blog, How We Roll, for a video and more details. Hennebery Eddy has a history of successful transportation architecture and transit design projects, ranging from the award-winning South Terminus to a dramatic expansion at Portland International Airport. Hennebery Eddy staff recently visited the HEA-Designed TriMet South Terminus to see the installation of 253 Solar World Sunmodule SW-240 polycrystalline panels. The 61 kW capacity system – currently the largest in downtown Portland – is now fully operational, producing measurable clean energy to power TriMet operations.